Every day, it seems, I get inspiring and exciting good news about people that want to help the homeless. It’s to the point where I can’t even get the time to share all the amazing things that happen to us because there are so many amazing things happening. But this is SO cool I had to share it with you. 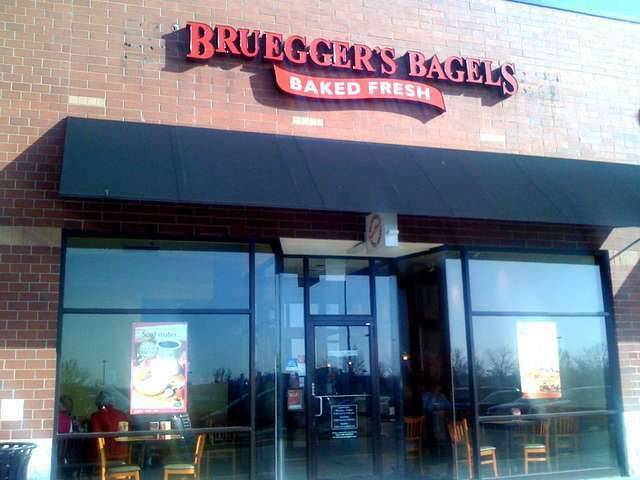 Bruegger’s Bagels, 3737 W Market St C, Fairlawn, OH 44333, USA has just allowed Second Chance Village to pick up ALL their left over bagels. This opens an amazing opportunity for us. We could potentially start a free bagel and coffee shop for the homeless and poor in East Akron. Imagine a coffee shop where everything is free. Coffee shops are an important part of the fabric of a community. It brings people together. It connects friends. It helps build your network for job opportunities. But a coffee shop is simply out of reach for people that make less than $1/day. I will say… I’m a little overwhelmed by the idea of being responsible for picking up bagels every single night 7 days a week. It’s really important that we pick them up every night otherwise we’ll lose the connection. So we have to be super consistent. Would anyone be willing to help me pick up these bagels? We need to pick them up after 5:30pm each night. This is the Bruegger’s by Hobby Lobby in Fairlawn. I can tell you the details if you are interested. I only live about 3 miles east from here. You might be able to just pick them up and drop them off at my house. Maybe someone is coming east through Fairlawn around 5:30 or 6pm? So this is SUPER exciting news. But it’s exciting with a touch of daily obligation. Thank you Bruegger’s! And thank you to anyone who might be able to assist with the pick up process. Keep up the wonderful things that you are doing second chance community, and GOD BLESS YOU ALL.